By Kayla Dees 2 Comments · This content may contain affiliate links. When I think of fall, pumpkins immediately come to mind. 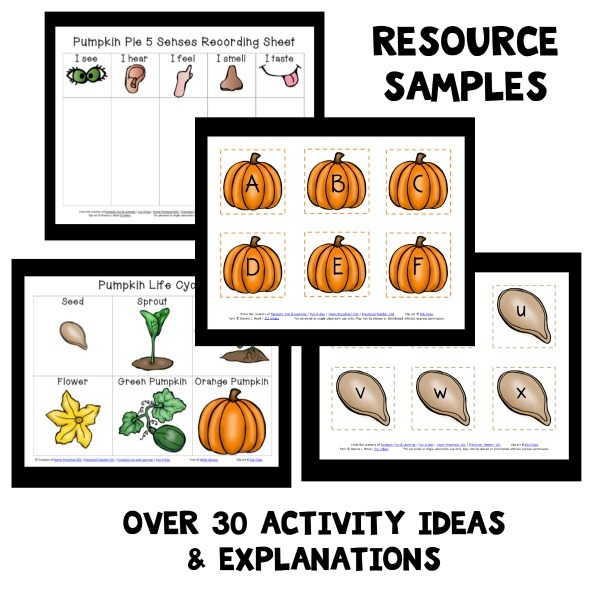 When we teach a fall theme, we love to incorporate pumpkins through math, science, literacy, and the senses. We’ve had so much fun in the past playing and learning with pumpkins. We have enjoyed digging into pumpkin guts and learning about shapes with our pumpkin seed math activity and even using pumpkins to create process art! 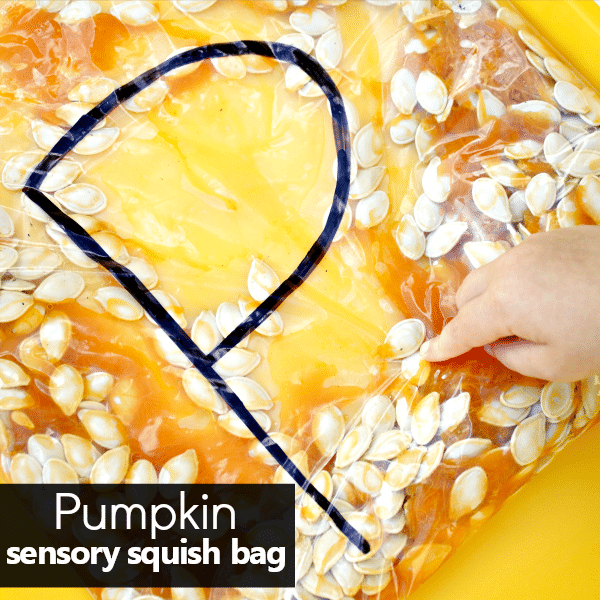 With tiny hands in mind, we recently created a pumpkin sensory squish bag. 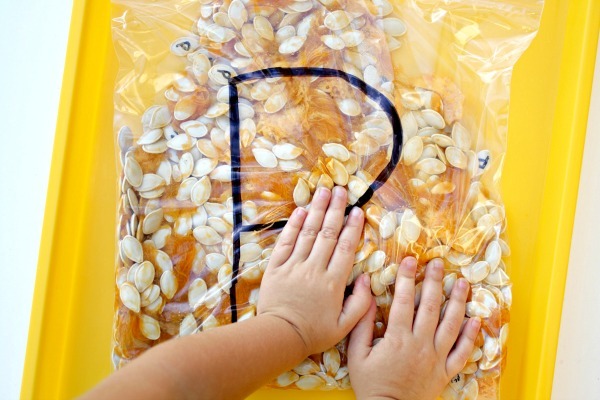 This pumpkin sensory squish bag encourages sensory play and even letter recognition and formation. 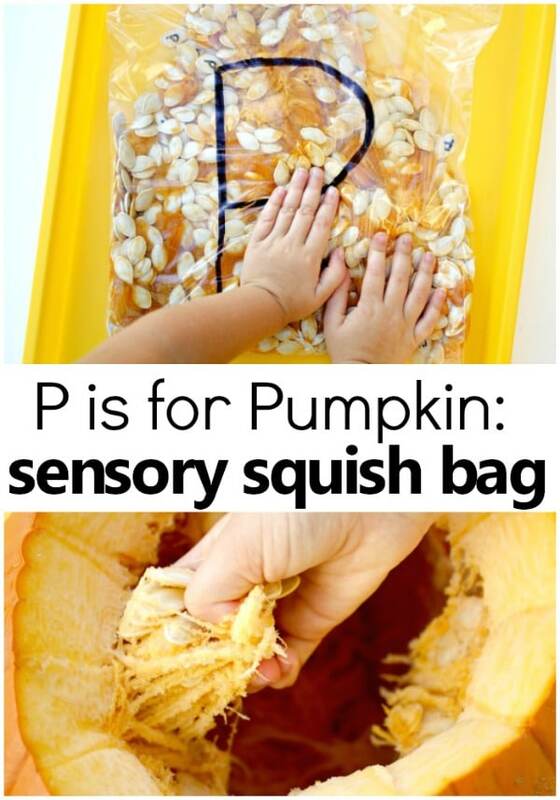 With just a few materials, you can easily create a pumpkin sensory squish bag that will have little hands squishing and discovering more about the insides of a pumpkin and the letter P! 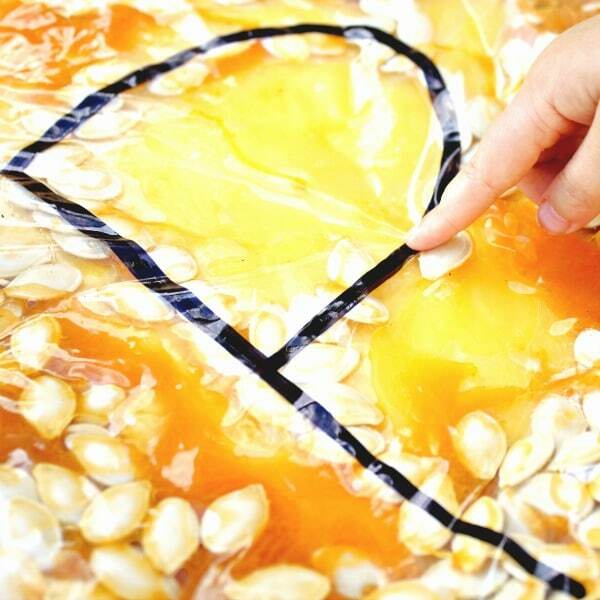 To prepare for this pumpkin sensory squish bag activity, you only need to gather a few simple materials. 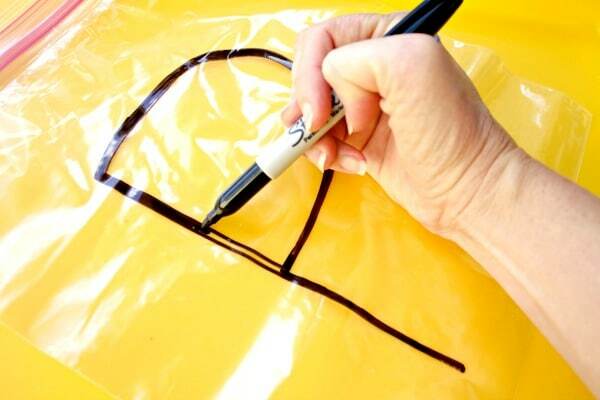 You will need to prep your gallon freezer bag by writing the letter P on it with a permanent marker. 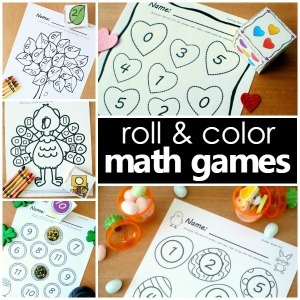 This will allow students to practice building and tracing the letter P later in the activity. 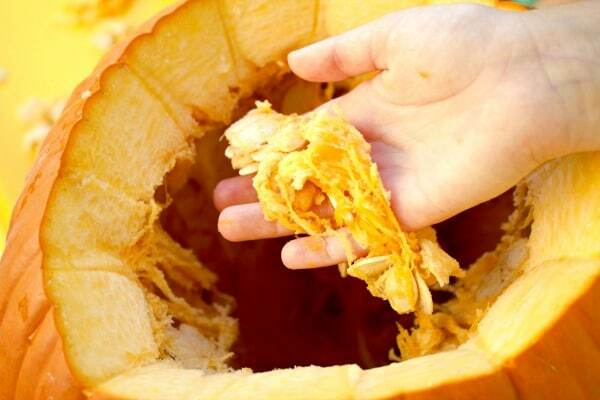 Cut your pumpkin open and get ready to explore the insides! We like to incorporate our little helpers’ hands in this part. 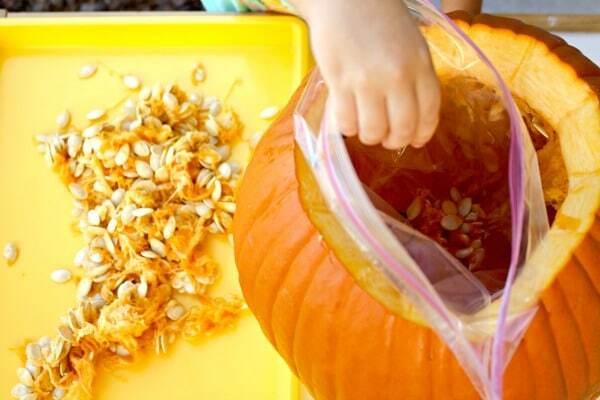 It really gives an added touch of sensory exploration and discovering the insides of a pumpkin up close and personal! Once we pulled all of the insides out and placed them on our tray, it was time to fill the bag. 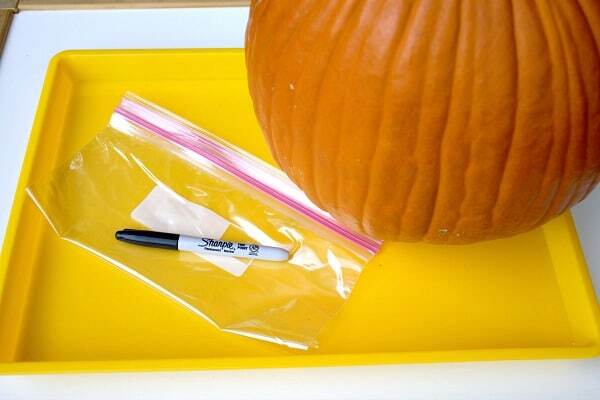 We found that placing the bag inside of the empty pumpkin helped to keep the bag upright. It also allowed us to be hands-free when scooping up the pumpkin guts. 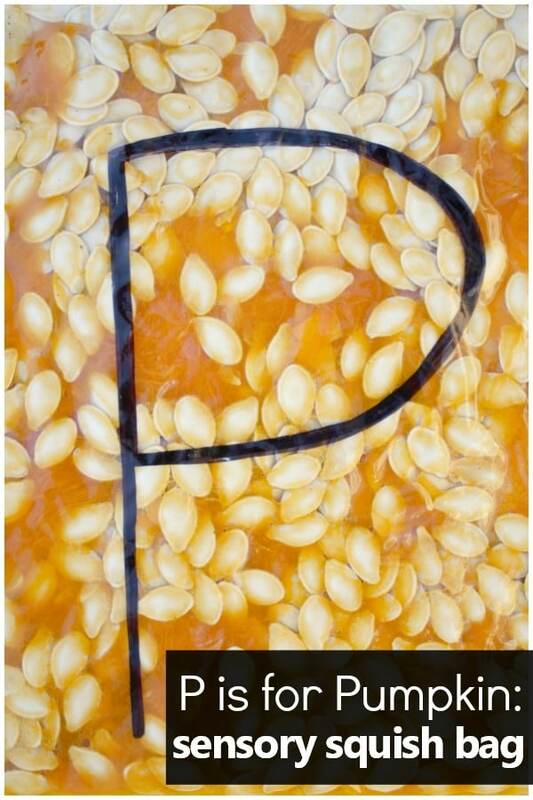 As we are currently focusing on the letter P, we thought it would be a great idea to write the letter P onto some dried pumpkin seeds. Little did we know that no matter how dry the seeds, or how permanent the marker, it would eventually come off after encountering the pumpkin guts juice! We had fun anyways while some of the “P” seeds were still visible. We poked and squished around to find them. We also took notice of the pumpkin flesh, its color, and how wet it seemed. After we found the seeds with a “P” on them, we moved on to tracing the letter P with our fingers. 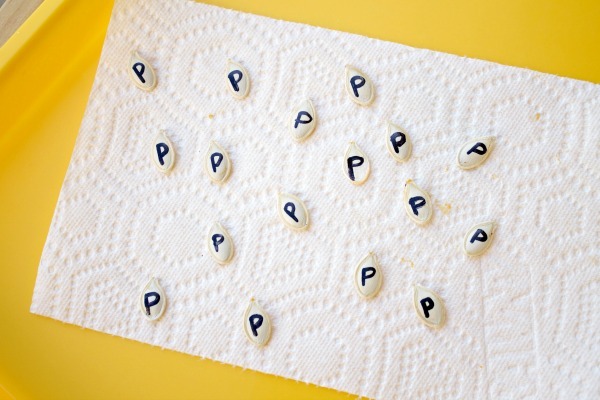 This gives a little added practice for letter formation and prepares students for the next sensory play activity- letter formation with seeds! 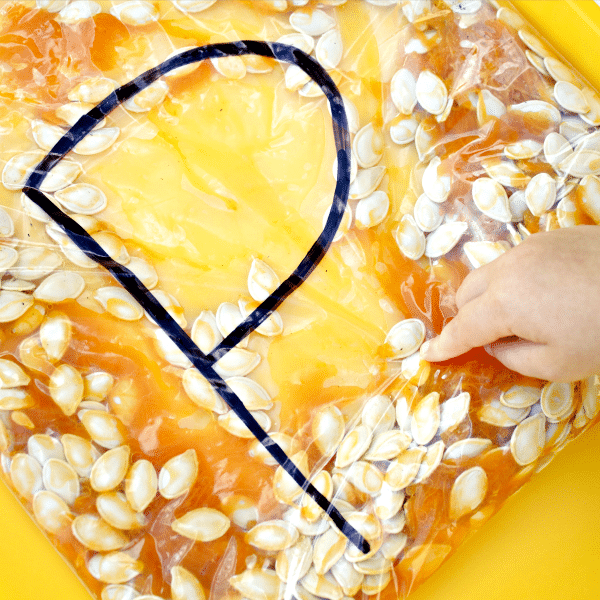 Direct children to squish all the pumpkin guts away from the letter so that they may squish the seeds closer to outline the letter P. Carefully squishing individual seeds took great focus and enlisted those fine motor skills too. 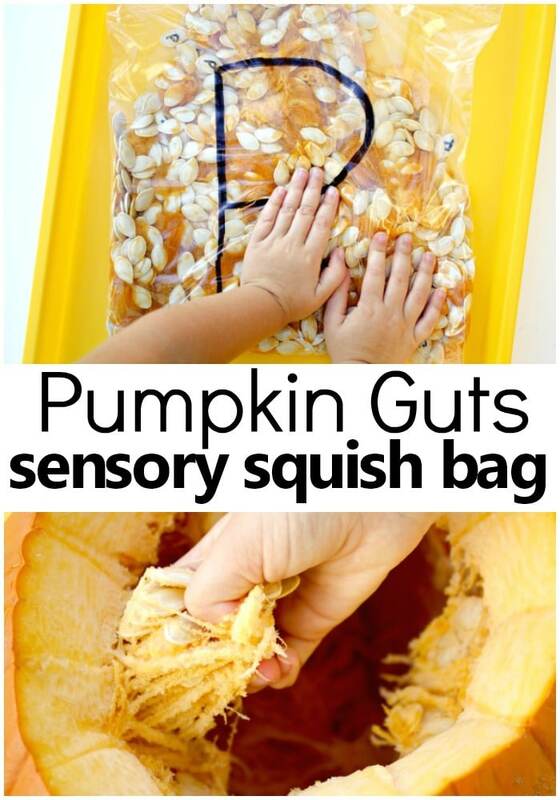 This pumpkin sensory squish bag has been a big hit here! We have enjoyed looking up close at the insides of a pumpkin while also working on our letter recognition. 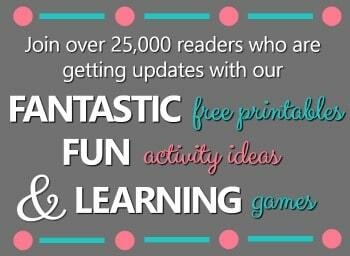 Check out some more pumpkin fun we have for you to explore! Would nail polish work for writing on seeds? If you have a steady hand and a thin nail polish brush, I think it would work! A superfine point Sharpie would work too.